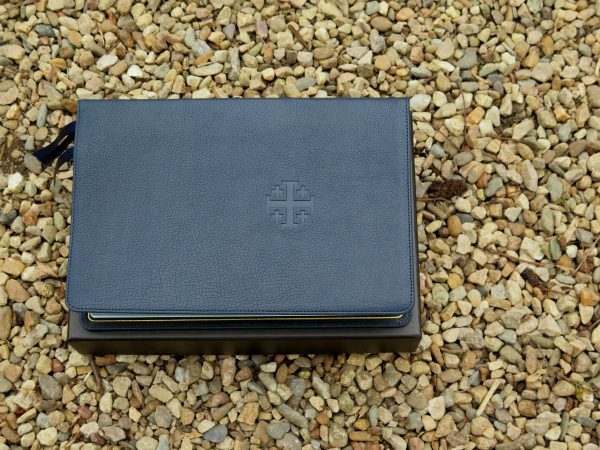 I received my Imperial Blue Goatskin Bible an hour and a half ago. I am so pleased with the purchase. 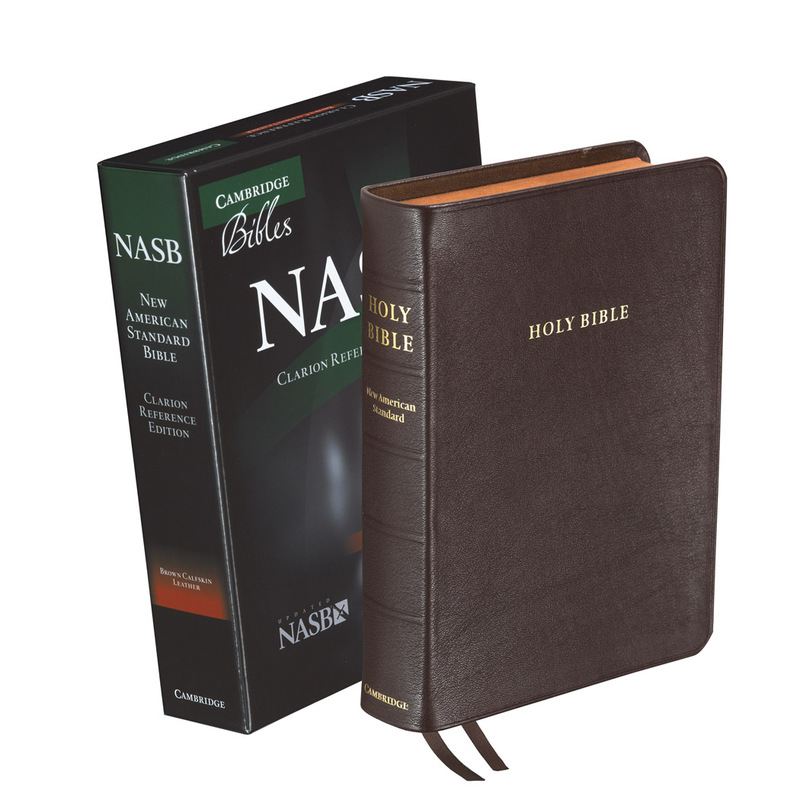 But I pretty much knew I would as I own the NASB and it ESV in the Quentel. The NIV Quentel carries forward the tradition without a hitch. 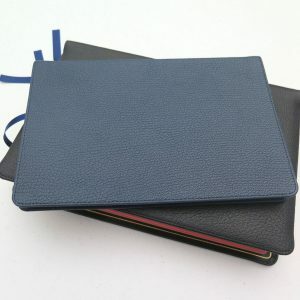 Same wonderful paper, wonderful print quaility and exquisite soft leather binding. By far the best NIV printing available. No ghosting, easy to read printing, wonderful to hold. 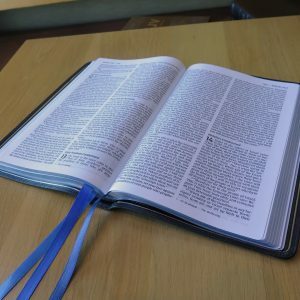 What an awesome Bible! 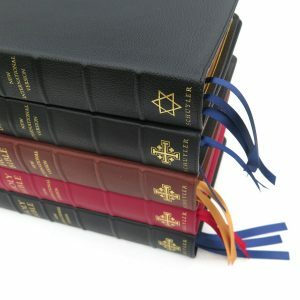 I just received my Schuyler Quentel NIV in Imperial Blue an hour ago. 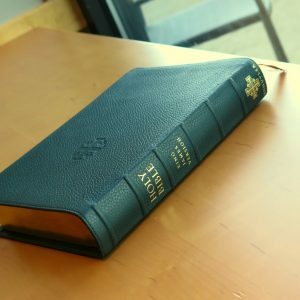 Already happily in possession of a Schuyler Canterbury KJV (brown calfskin) and a Schuyler Quentel NKJV (green goatskin), I was confident that the new NIV would meet or exceed the quality of my existing Schuylers. And I was not disappointed. If anything, the NIV is even more beautiful, if possible, than the others. The Imperial Blue is a bit darker than the photos reveal which makes the gold lettering on the spine all the more stunning. I was already very pleased with the red letters of the words of Christ in the NKJV, but one of the first things I noticed is that the red letters in the NIV are slightly darker than the NKJV, thus improving the text contrast and readability. Another truly magnificent Bible! Oh, and by the way, in case anyone is interested, all three of the Schuylers are nearly identical in thickness. 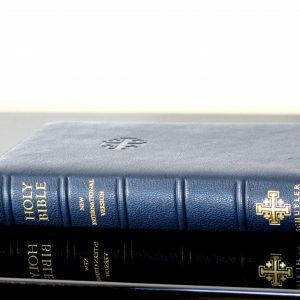 From page one of Genesis until the last page of the concordance, there are 1575 pages in the Quentel NIV, 1714 pages in the Quentel NKJV, and 1693 pages in the Canterbury KJV. Well done, Schuyler! 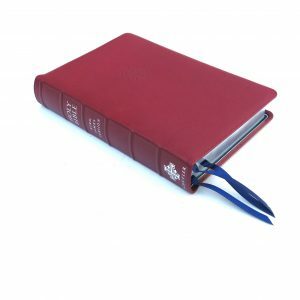 The Schuyler Imperial Blue NIV (Goatskin) is simply the quintessence of Bibles. I have never bought a Bible in Imperial Blue before but the blue/gold page edges are pretty impressive. The added pleasure of handling such a Bible never mind the contents is a joy. 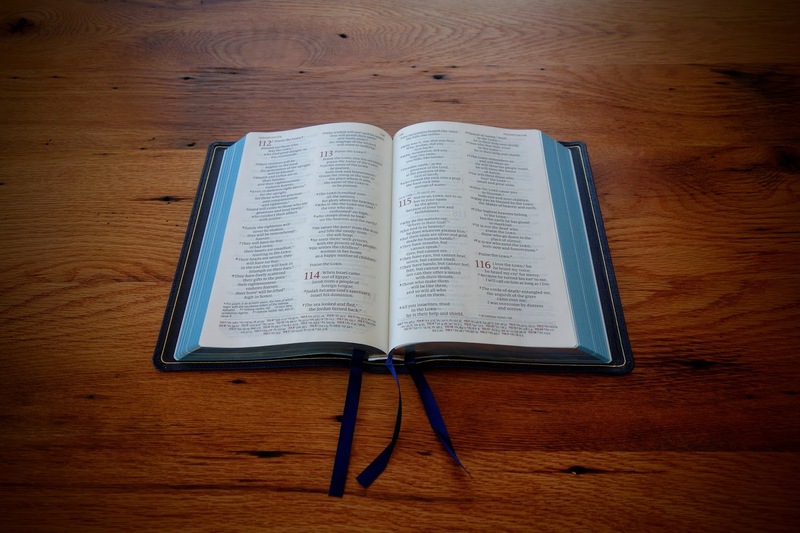 I look forward to the end of the day taking my Bible ‘to bed’ with me before settling down to sleep. 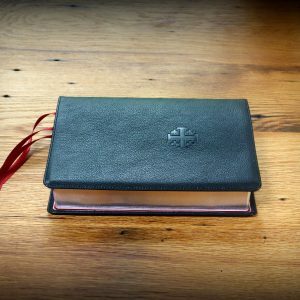 I suppose there is no perfect Bible like there is no perfect translation but this Bible comes close. Cannot think of anything to criticise and I am generally a somewhat pessimistic sort of guy. Completely satisfied. I’ve intentionally waited a month after buying before writing this review. 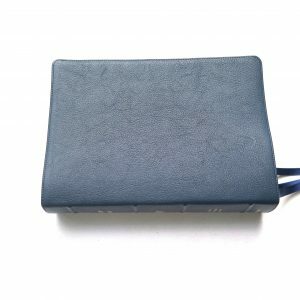 Of course, when I first received my Schuyler Quentel NIV Imperial Blue, I was elated, ecstatic, downright in awe of what I was holding in my hands. It smelled amazing, was SO flexible, the type phenomenal. But I knew after a while, the euphoria would fade. What was once brand new and exciting, would become a part of routine life in my house. What makes me most happy about the Schuyler Quentel NIV Imperial Blue, is that after a month, it’s all still true. It still smells great. It is still so easy to read, because of the type setting and font. It’s still amazingly flexible. It just falls open in my lap, and stays there. I can just open the front cover, and it stays open. The euphoria of newness has worn off, and I’m still in love. We’re past the honeymoon phase, but I still can’t get enough of this Bible. When I hold it, I feel like I’m holding a part of history in my hands, not just a book. And to be honest, I don’t feel that way about every Bible I pick up. I’m going to have to be real careful not to let this Bible become an idol. I could go on for hours, so I’ll just say my favorite thing about the Schuyler Quentel NIV. IT’S SO EASY TO READ. I’ve been carrying around a Cambridge Pitt Minion for the last 5 years. Don’t get me wrong; I love it. If you don’t have one, you should go buy one. But I’m starting to get older, and while the Pitt Minion is very convenient, I find myself squinting a little to read it. 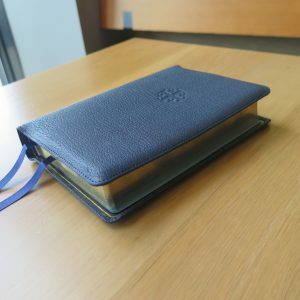 I decided I wanted a Bible I could keep on my desk, where I do most of my reading and teaching, and I wanted it to be a Bible I could easily read. And for that, the Schuyler Quentel is perfect. The font almost seems enormous at first glance. I almost wondered if I had ordered a large print, but it was because I was used to a Pitt Minion. I’m no longer straining my eyes. It doesn’t take me as long to find my place when I’ve had to look away. And when you put together the readability with the flexibility, it feels like the perfect Bible. It doesn’t feel too big. 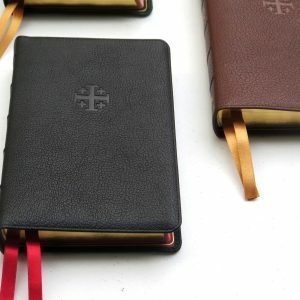 So if you’re looking for a Bible that’s going to stay in one place, a Bible that is easy to read, and a Bible that feels like it was made by the finest printers and leather workers in the world, the Schuyler Quentel NIV is for you. P.S. And just a small note here about the Imperial Blue. I’m a traditional guy. I’ve always been a black Bible with the red/gold edges kind of guy. I took a chance here on the Imperial Blue. To be honest, I was scared. A Schuyler Quentel is no small investment, and I was leery to pay that much for a color I wasn’t sure about. I’m really glad I did. I was afraid the Imperial Blue would be TOO BLUE. I was so afraid it would look artificial. It doesn’t. 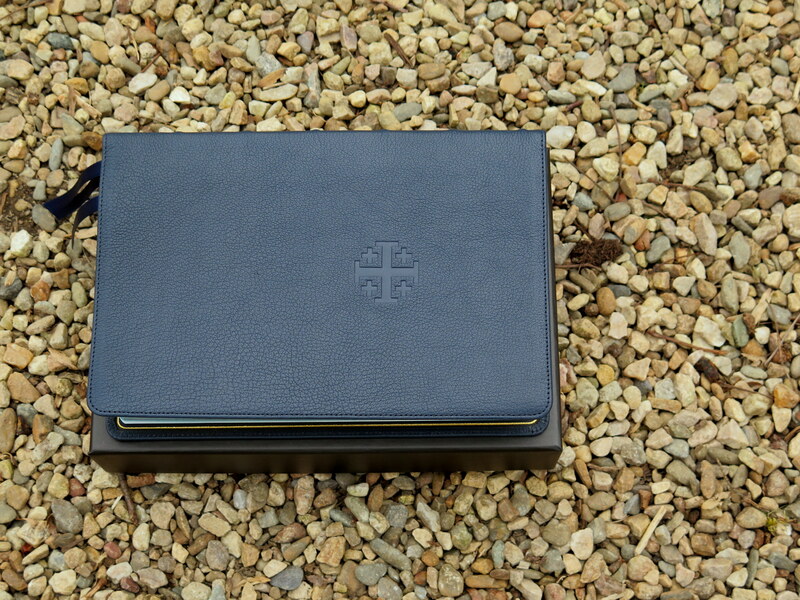 The blue is not too blue, and the softer blue edges go perfectly with the leather cover. I just wanted to add that in there in case there were other traditionalists like me who were hesitant on the Imperial Blue.